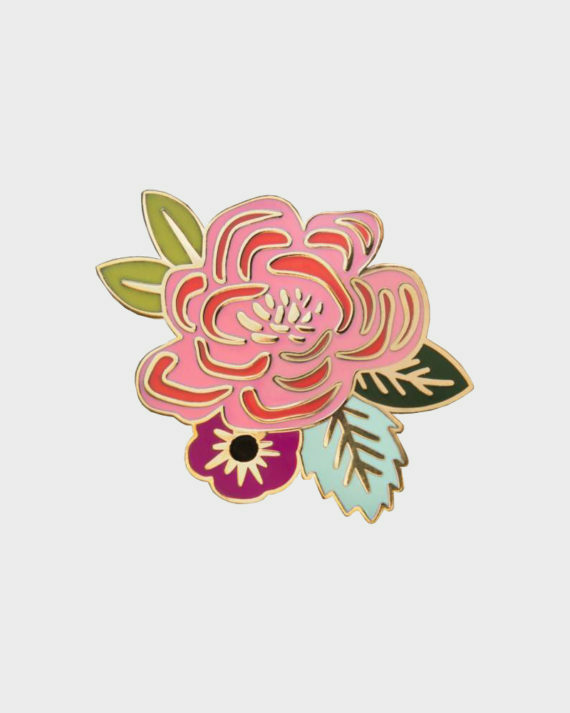 Rifle Paper’s polished enamel pin. 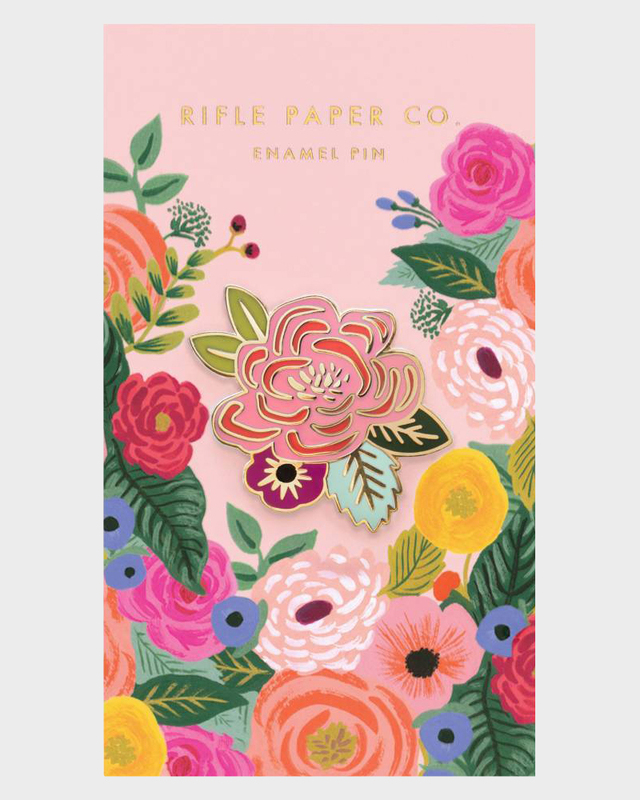 Designed in the USA, manufactured in China..
Add a bit of floral Rifle Paper style to your outfit! 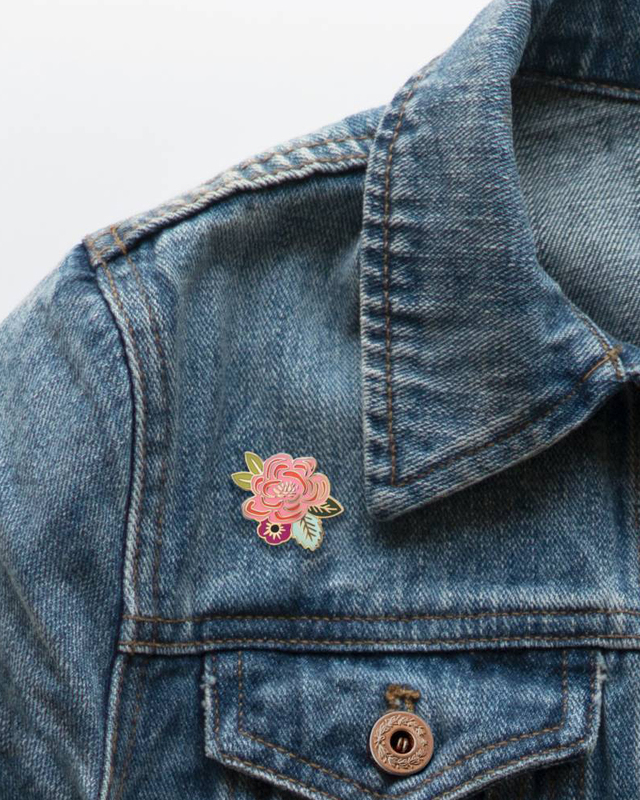 The cute enamel pin by Rifle Paper co has a sturdy rubber clutch backing. The width of the pin is approximately 3,2 cm. The pin comes in a package attached to small cardboard illustrated to match the theme. The item is designed in the USA and manufactured in China.